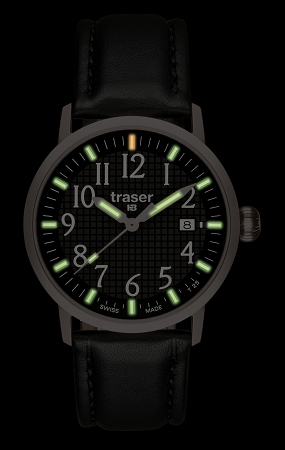 The Traser Classic Basic features Traser's amazing Trigalight Illumination technology that is brighter than any luminous paint and glows continiously for 25 years. And the watch has bold arabic numerals that are large and easy-to-read. The watch also features a date function with a window at the 3 o'clock position on the dial. The model T4102.240.A2.01 features an all stainless steel case that is water resistant to 50 meters below sea level. 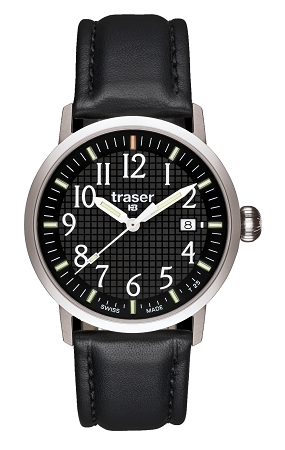 It has a black dial with white numbers and a matching black leather strap.